Location: We have 3 private ranges and classrooms in the Waco area. NRA BASIC PISTOL CLASS! Become an NRA certified shooter! 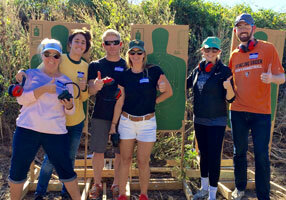 This is the official INSTRUCTOR LED NRA BASIC PISTOL CLASS, taught and supervised by NRA certified instructors. You do not have to take any part of this course online, like some other instructors are doing. This face-to-face class teaches the knowledge, skills, and attitude for owning and operating a pistol safely. It is much more in depth than the NEW SHOOTER-INTRO TO FIREARMS CLASS . One full day of detailed training in all aspects of revolvers and semi-automatic pistols, safety, range training, gun handling, supervised range exercise,. 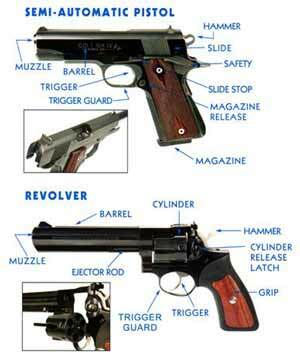 Includes classroom and range time learning to shoot revolvers and semi-automatic pistols. This is a hands-on student involved activity based class, supplemented with on screen tutorials and includes written texts to follow. This course is a certified NRA course, and includes an evaluation written test and a range shooting qualification (don't worry, you'll do fine and we'll cover everything thoroughly.) Upon completion,students will receive an official NRA certified course completion certificate. This class will help prepare you for a passing score on the Texas License To Carry shooting test. We normally schedule these classes on Saturdays, or we can set up a private class for your family and friends at the time and location of your choice. Email us, with your questions and contact info. We will call you back to answer any questions, and schedule your spot in one of our upcoming classes. We have 3 locations and private ranges in the Waco area, and will contact you with the location and details for your class in a few days. We are proud to be part of the TEXAS LAW SHIELD and US LAW SHIELD. Find out about the benefits of membership, and GET PROTECTED NOW! Like us and share with your friends!